Hut, Hut! 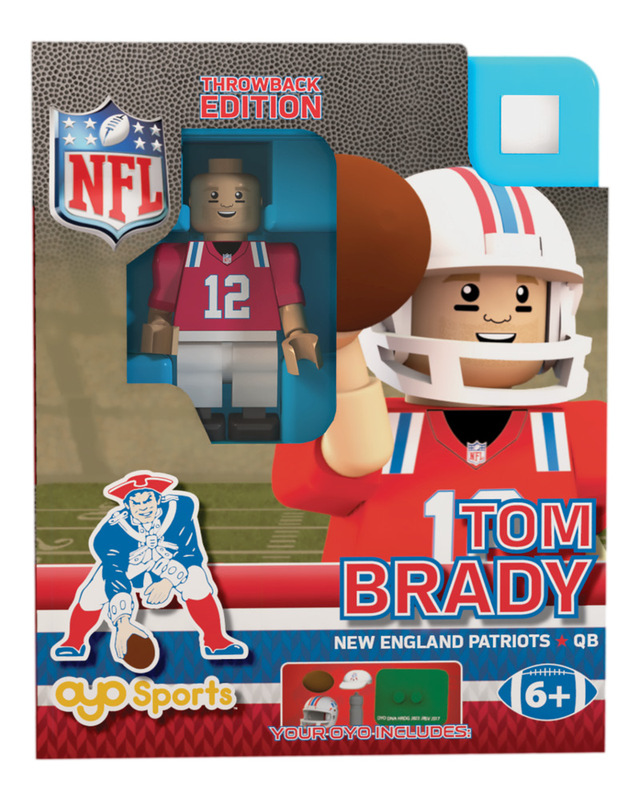 Create, or recreate, memorable New England Patriots moments with the Tom Brady Throwback Edition OYO Sports minifigure. 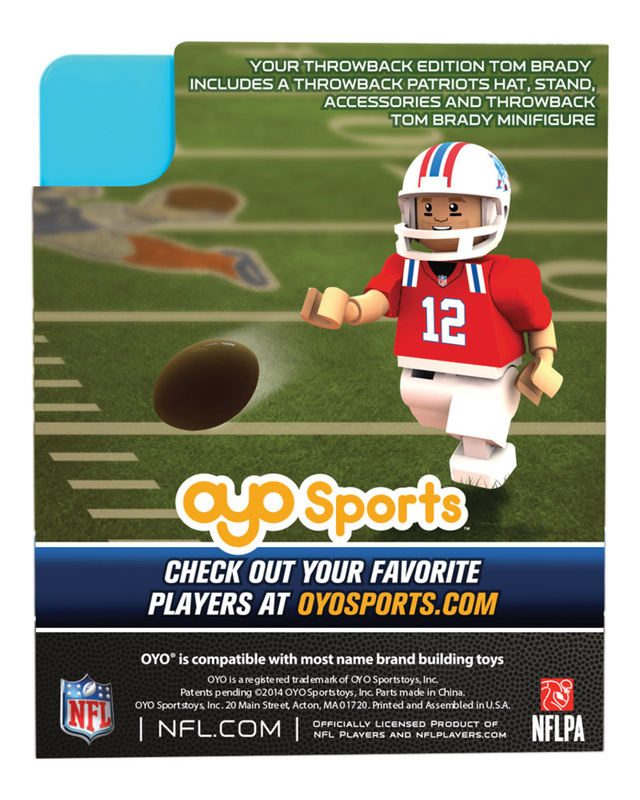 OYOs make great gifts for any sports fan, young and old! 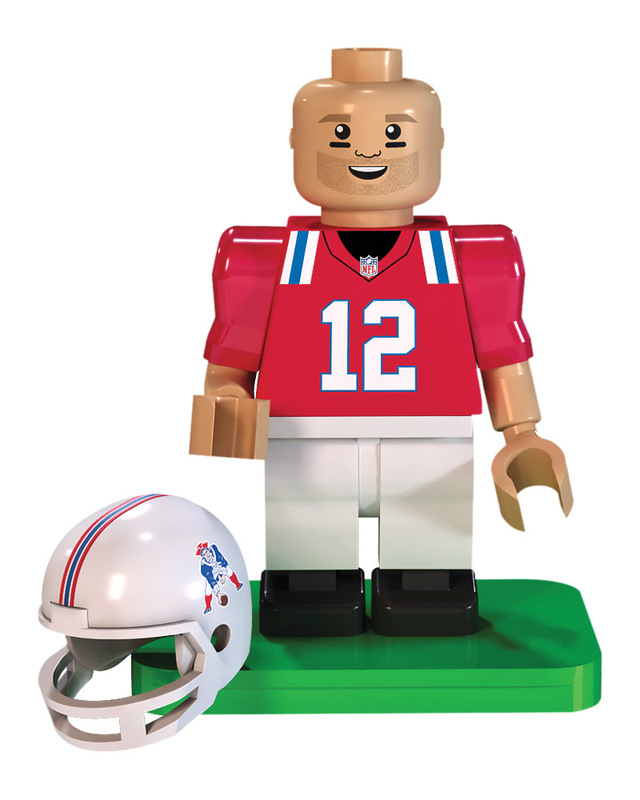 OYO Sports minifigures are officially-licensed collectible minifigures designed to resemble your favorite NFL players and teams. NFL OYO minifigures are designed with rotating arms and bending knees which allow them to run, pass and tackle. OYOs are also compatible with other notable building block toys like Lego®, K&apos;nex, Mega Bloks and more. Each collectible minifigure comes complete with Patriots Classic Throwback uniform, a football, Patriots Classic Throwback helmet, removable face mask, Patriots sideline cap, water bottle and stand with unique OYO DNA number. 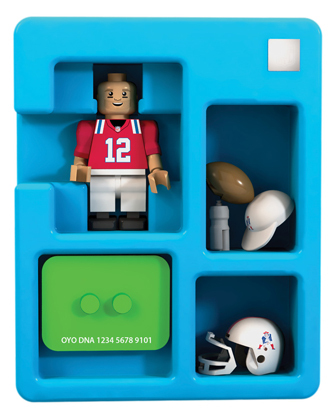 Each stand has a unique OYO DNA number to identify your one-of-a-kind sports toy. 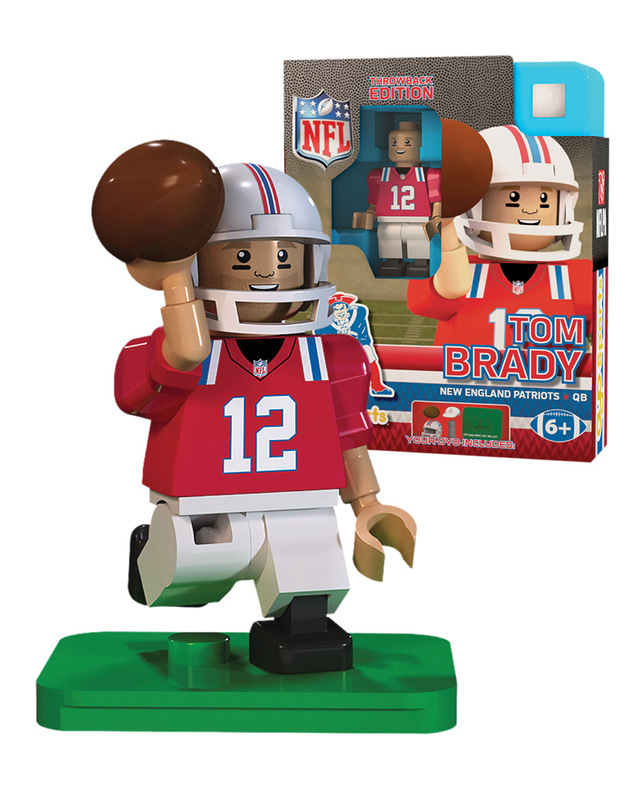 The custom OYO stand is great for displaying your Tom Brady figure and connects to all building bricks. Collect all the New England Patriots OYOs and hit the field! 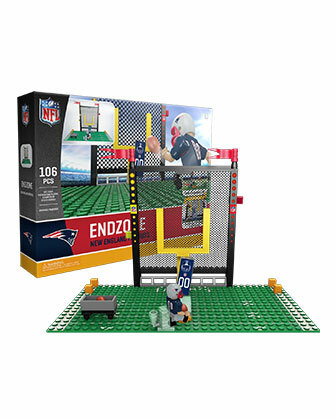 Ages 6 and up. Printed and assembled in the U.S.A.
We thought we ordered the other Tom Brady. Our son has this one. 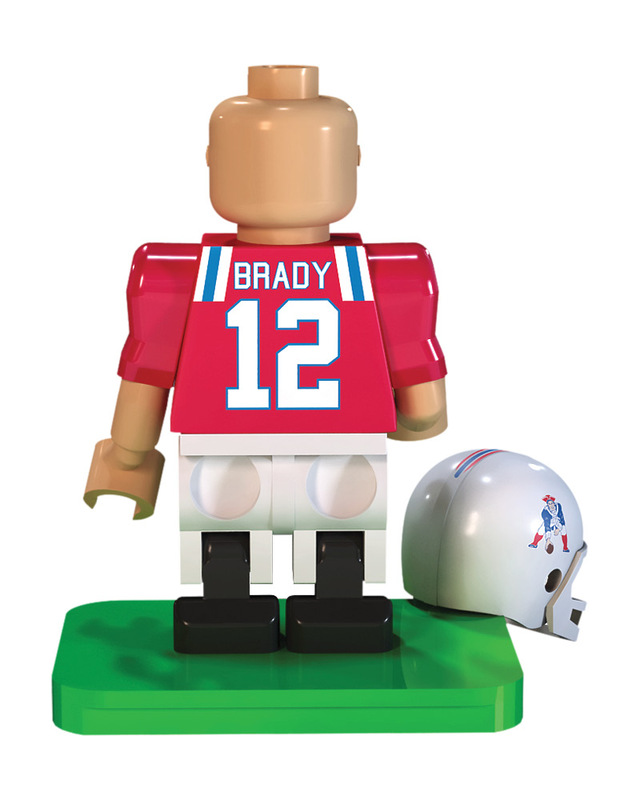 Great figure, love the throwback unis. 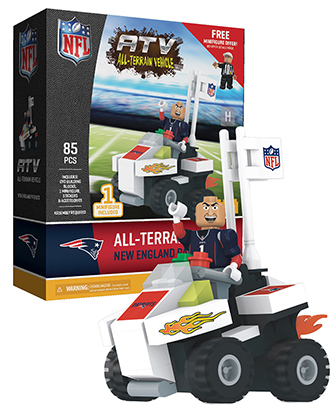 Is great, just wish the facemask stayed on better. The helmet was cracked, but OYO is replacing it! Item looks great. No complaints. I still didnt receive this Tom Brady, the one that I ordered, but I did get a Tom Brady so all is good i suppose. I sent this to my teenage son for display on his desk at school. He is a big PTriots fan but his roommate likes the Jets so he needed some Payriots "flavor" in his room.